The first car full of officials leaves Union Station for River Market. 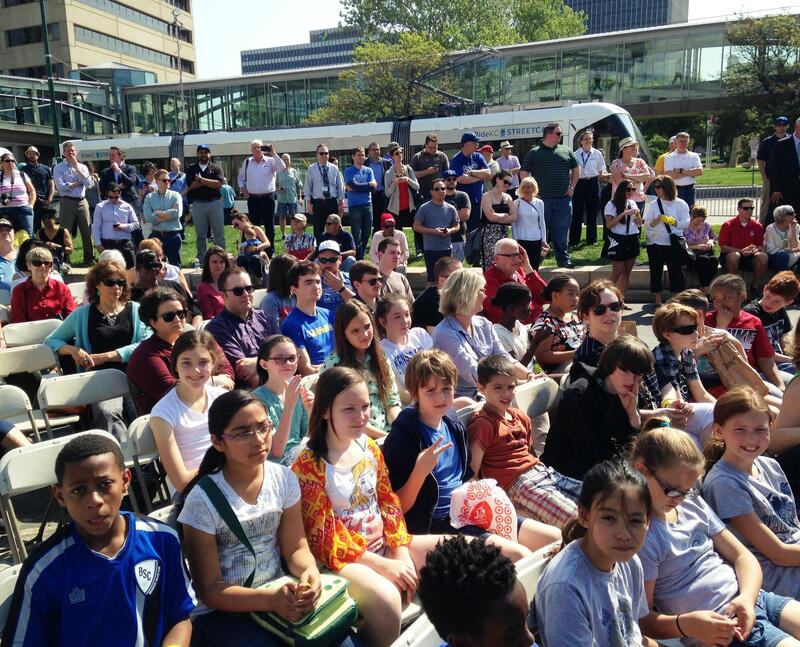 More than 300 people gathered downtown Friday to watch officials ranging from the mayor to the acting administrator of the Federal Transit Administration open Kansas City's new streetcar line. 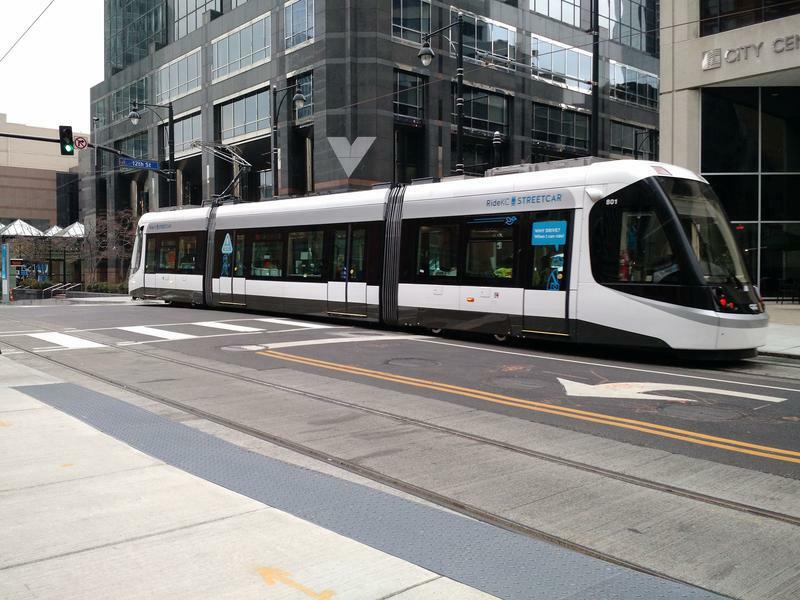 Mayor Sly James acknowledged it had been a long and sometimes difficult process to secure the streetcar. "This is our moment," the mayor said to the jubilant crowd. Acting Administrator of the Federal Transit Administration Carolyn Flowers said in an interview that Kansas City used the special Transportation Development District in a new way to its credit. "I think Kansas City has created a unique model," she said. 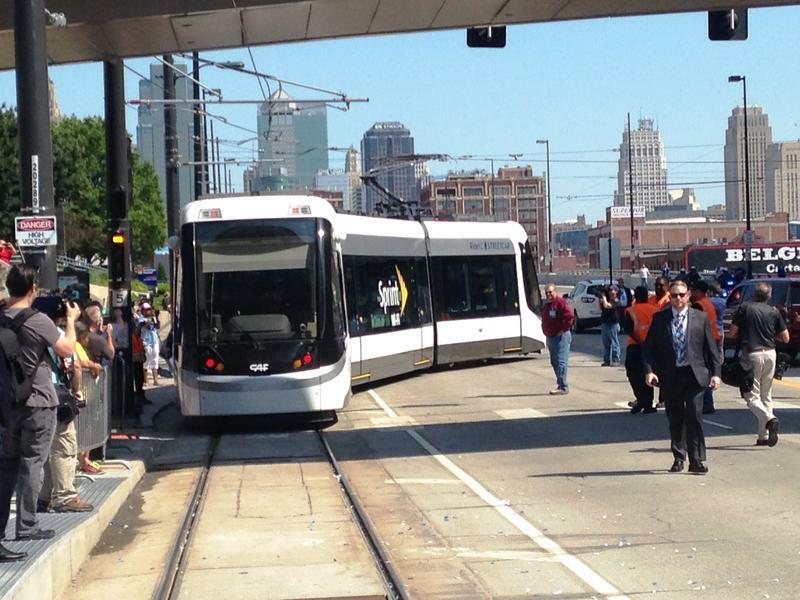 Federal, state and local officials praised Kansas City for the 2.2-mile streetcar project. Talking about connectivity and economic development (a projected $1 billion), city officials said the five years it's taken to get to this point have not been easy. In addition to sometimes contentious political and public debate, businesses and commuters have suffered massive construction for months. 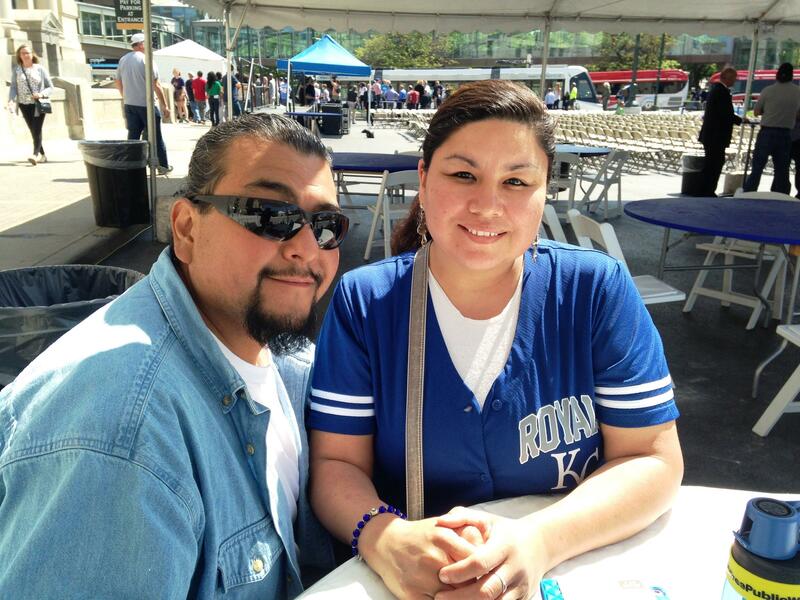 But Manuel Amaya and Monica Palacio, Kansas City residents, summed up the festive mood of the celebration. "We're just looking forward to enjoying all the amenities up and down Main Street using the street car line," they said. Manuel Amaya and Monica Palacio are excited to use the KC Streetcar but also hope it will expand. It's been almost six decades since streetcars ran in Kansas City. Laura Ziegler is a community engagement reporter and producer at KCUR 89.3. She can be reached via twitter @laurazig or at lauraz@kcur.org. 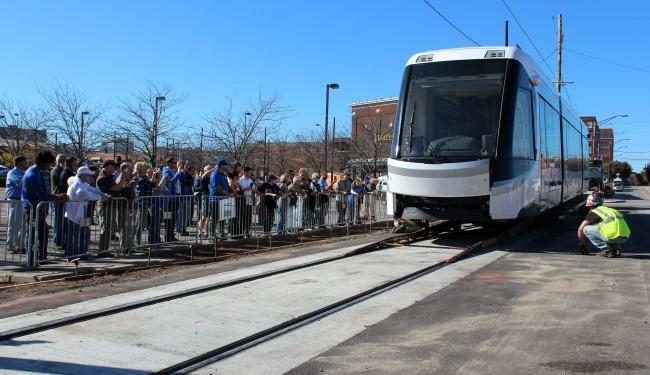 After months (some would say decades) of anticipation, Kansas City will once again have a downtown streetcar line. It opens Friday. You may have heard the buzz and the hype. You might have read about the delays and labor disputes. But now, really, all you care about is this question: when can I ride it?